A gear motor is a special type of electrical motor that uses high powered torque. A gear motor can do this while retaining low motor output or low horsepower. There are varying application that use gear motors, many you find in your daily life. Right angle gear motors are used in several applications, but are ideal for those that are filled with space constraints. 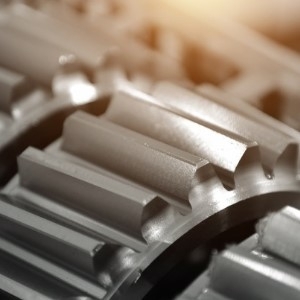 These gears help the motor produce enough torque, speed, and overall efficiency that is suitable for the task it is assigned to. In fact, gear motors are found in a variety of different devices such as can openers, washing machines, garage door openers, electric alarm clocks, hospital beds, and more! At Bauer GMC, we believe in understanding proper care for your right angle gear motors. Never Shortcut the Math: Always consider the dynamics and service factor for your gear motors. Use the gears and motors that enter parameters that include weight, speed, and diameter of the pulley. Do not rely on unwritten rules or traditional ways of operating right angle gears, this will result in damages. Achieve Optimal Performance: One of the reasons why you should switch to AC gear motors is because of performance. If you operate AC right angle gear motors, you can achieve high dynamic capabilities. That is essential for high stop/start cycling applications. Replace Reducers and Motors: Using right angle gear motors is a great replacement for reducers and motors. Right angle motors are typically less expensive and would take up less space compared to a reducer. Learn About Gear Motor System Power: It is crucial to know and understand what a gear motor system power is and not just a general motor power system. In order to optimize gear motor solutions, calculate the system output power in order to determine the level of care and use that is required by this machine. Since 2002, at Bauer GMC, we have been producing and selling the highest quality gear motors in the industry. Our right angle gear motors are constantly changing to meet the evolving technological demands in the industry. Call or email us today to learn more about our products and services!